A very cosy place, old style it seems to return back in the belle epoque periode. Nice feeling! We return to the Royal each October for our anniversary. We love its position and the sea views and its old world charm and good sized modern ensuite bedrooms with walk-in shower. The checkout was pleasant and efficient. Checkout was abrupt and rude; I was left alone in a locked lobby. The room was very tired looking and not particularly clean. Mold in the shower and dirty carpets. There were no electrical outlets available to charge devices. I had to unplug the television to do so. No shampoo, no face towels, poor lighting (unable to read by). Price and location were very good. I would have preferred to pay double and have been comfortable. Overall, it was an unpleasant experience that I would not want to repeat. 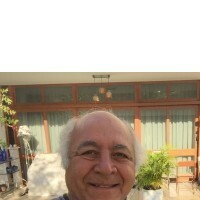 This web-user gave a score of 5 / 5 to Vacances Bleues on september 2018, but declined to leave a comment. Good location, very courteous and efficient staff. Good night sleep. I love Vacances Bleues because it is always easy to reserve and the staff at the Hotel Le Royal in Nice are so kind and helpful . They make you feel at home right away. This is the only hotel where I stay in Nice because of the location, the price, and the people who work there. For many years I have been coming here and plan on never changing. Vert nice Hotel and top service. Also sentral location is important! 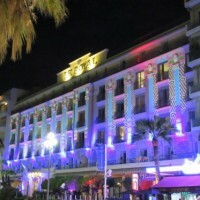 We always stay in this Hotel when we visit Nice. Look forward to come back! when I made the reservation, I asked for a confirmation email three times by making three phone call, which was annoying. when I arrived at the hotel, there was no hand towel in my room, neither water to drink or pot to boil water. I wanted some water, then I have to go to the bar at the ground floor and bring the water to my room cup by cup. Also, there was no hot water when I was taking bath. Then, I have to change to another room. Overall, expect the ocean view, I have to give the negative opinion to the hotel. Nice room overall, great location, Balcony overlooking the bay is good. Clean hotel with good service. Bed was not good, sagged in middle & had to sleep on edge, or had tendency to roll toward middle. Time for new mattresses. There was an issue with the reservation & actual room, & charge that I did not notice until check-out time, it was resolved at check out, I should have looked closer at check-in.